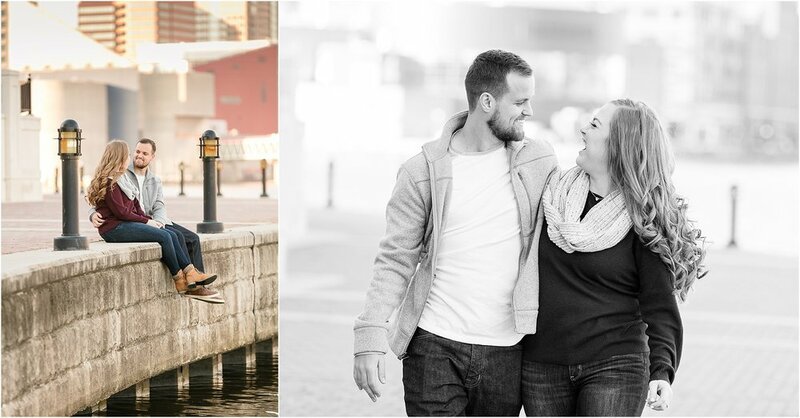 This past Sunday Tim and I got to meet Colleen and Andrew for the first time at their engagement session in downtown Baltimore. 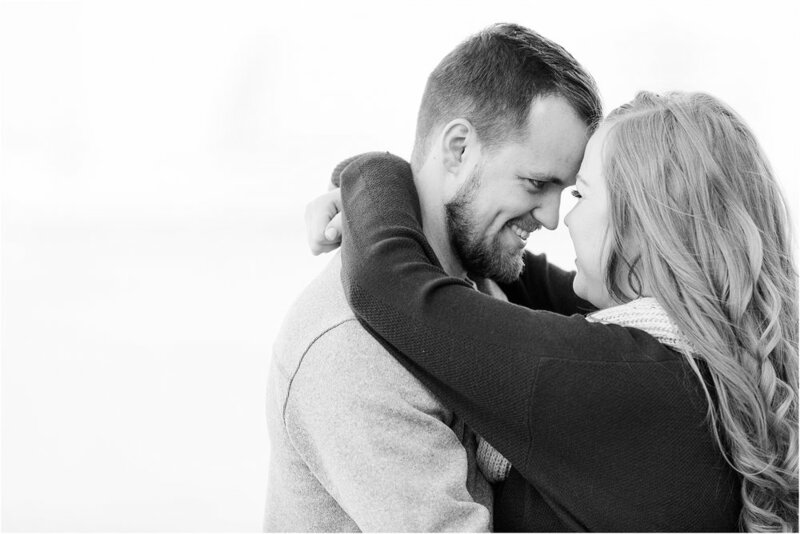 They chose to have their session in Baltimore because they have spent a ton of time their as a couple and used to live downtown! 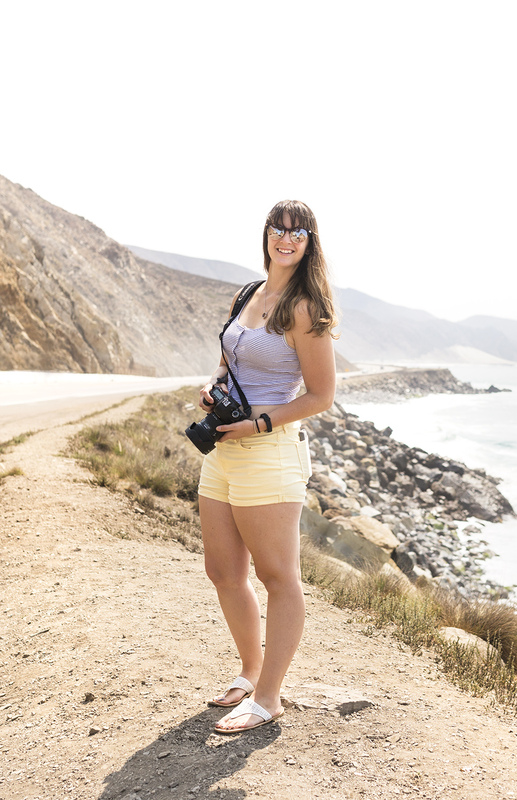 Colleen and Andrew met in college at Stevenson University their freshman year. 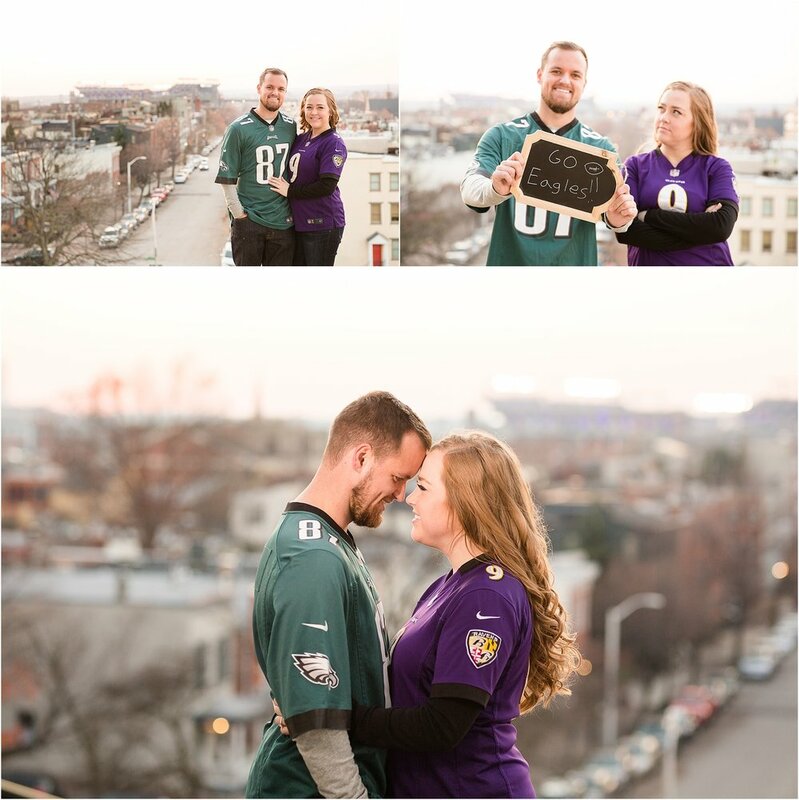 After a few years of dating Andrew proposed to Colleen while tailgating at a Ravens & Eagles (they're favorite teams!) game. 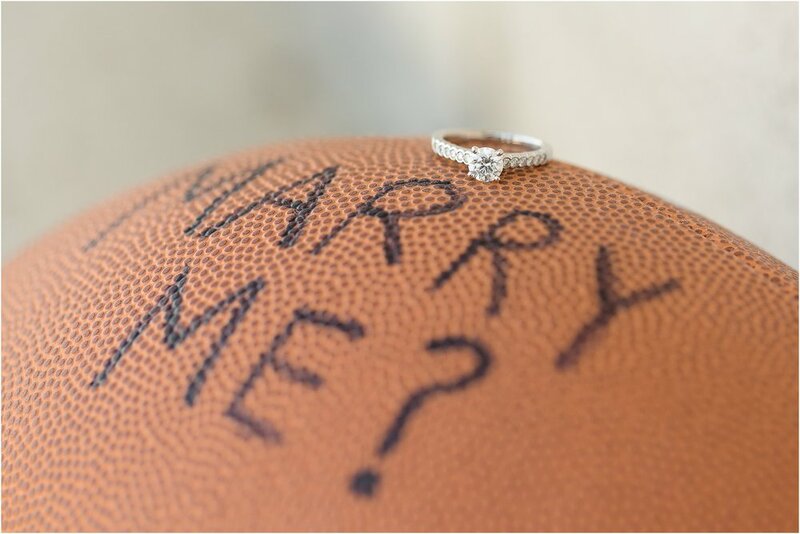 That sounds like a perfect proposal for football fans! 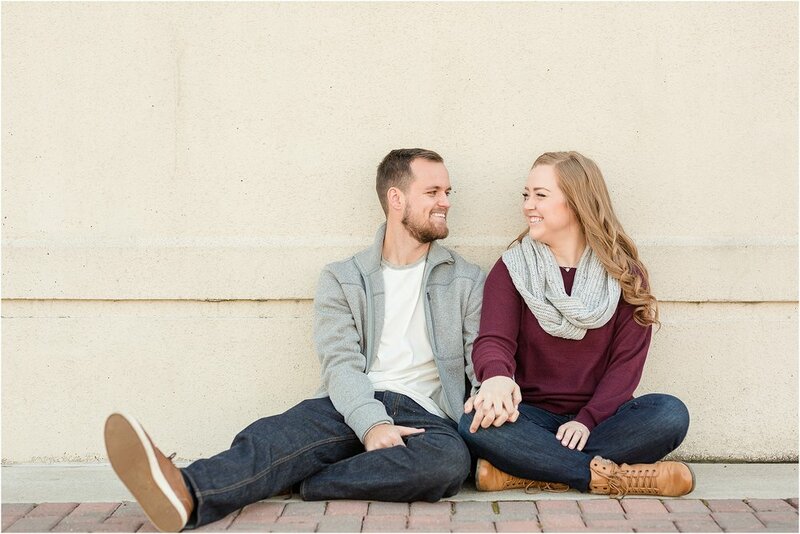 We had SO much fun with Colleen and Andrew Sunday evening. We all share the same sense of humor and found something to laugh about throughout the whole session. 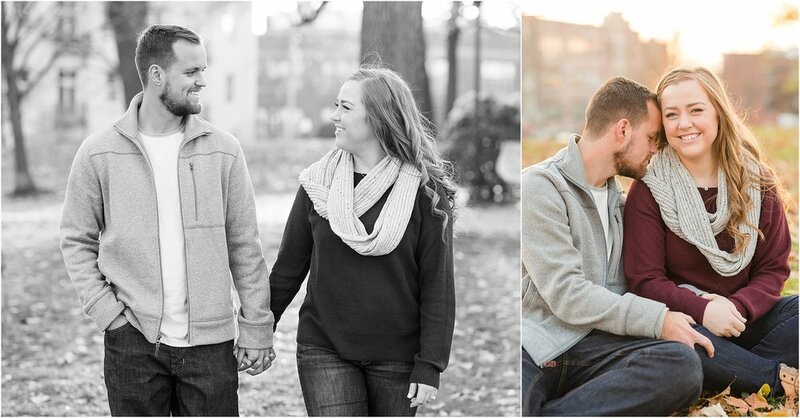 I will say that my absolute favorite part of the session was when Andrew tried to feed a squirrel a leaf on Federal Hill! Just thinking about it makes me laugh! He came so close to touching it! I know it is probably frowned upon to feed the squirrels, so I don't encourage this behavior, haha! Just make sure you check out the photo of Andrew and squirrel! Also, I was amazed at how many brightly colored leaves were still on the trees! You'll see those colors in the last few photos! 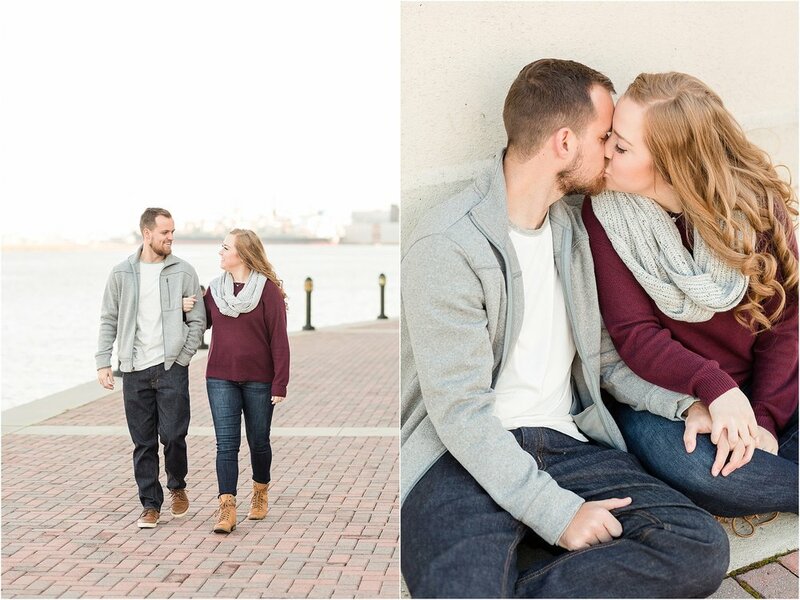 Please enjoy a few of my favorites from their Baltimore Engagement!